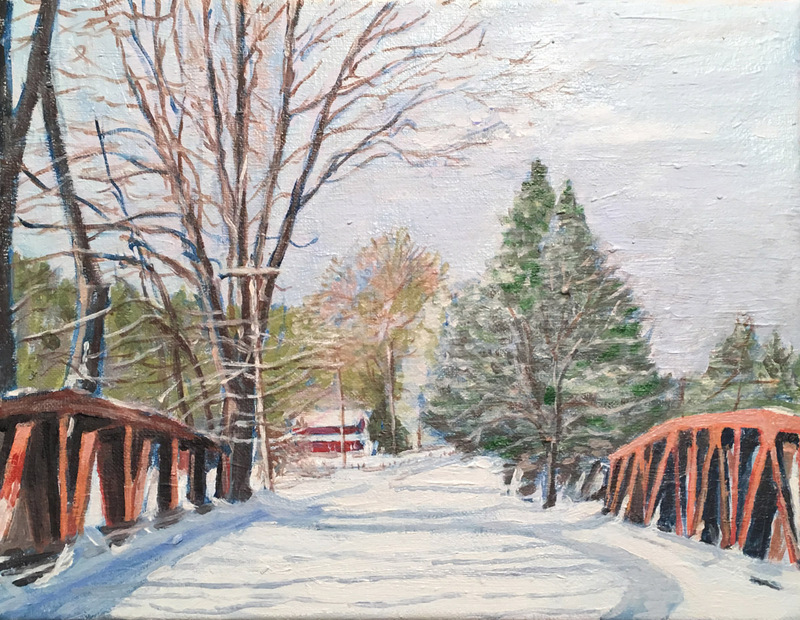 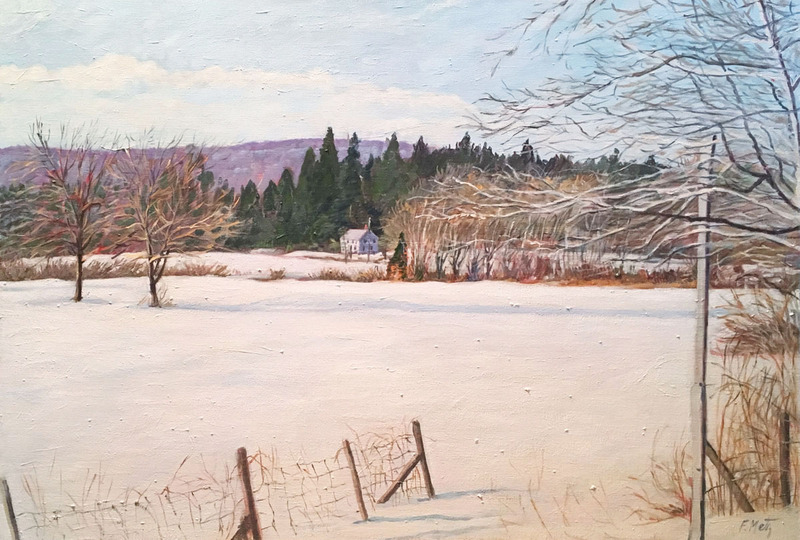 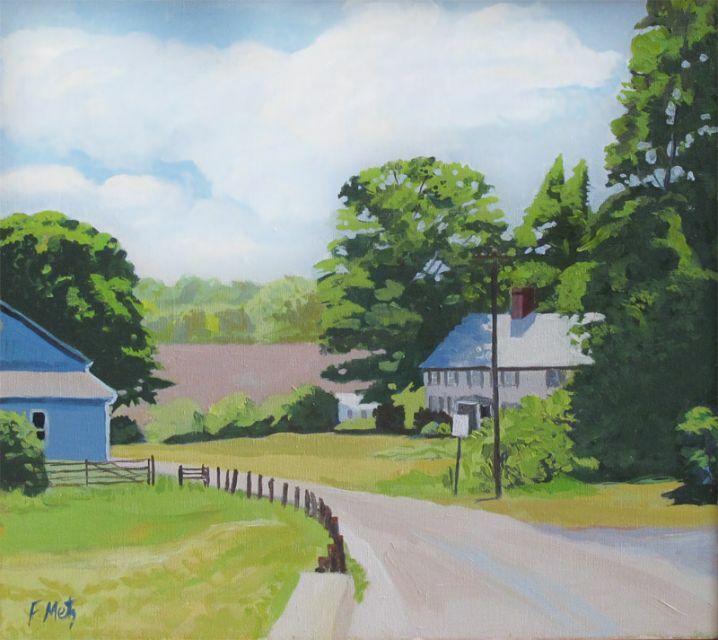 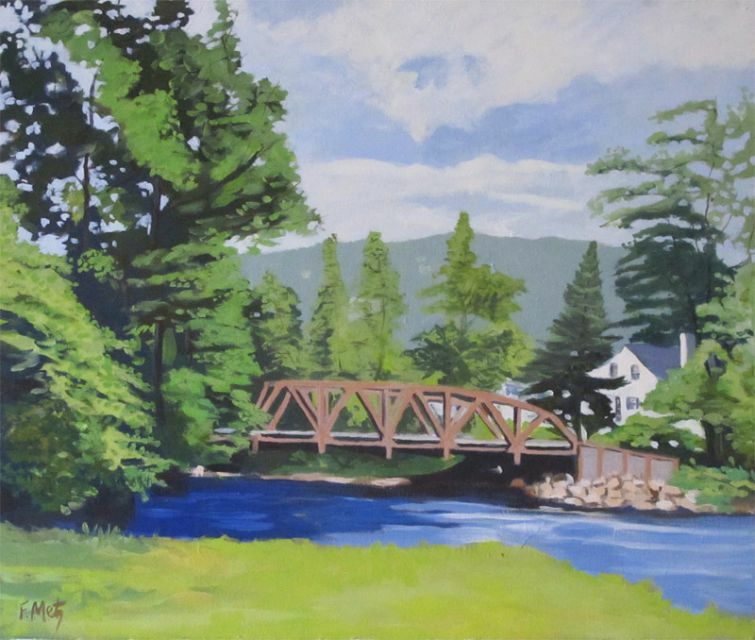 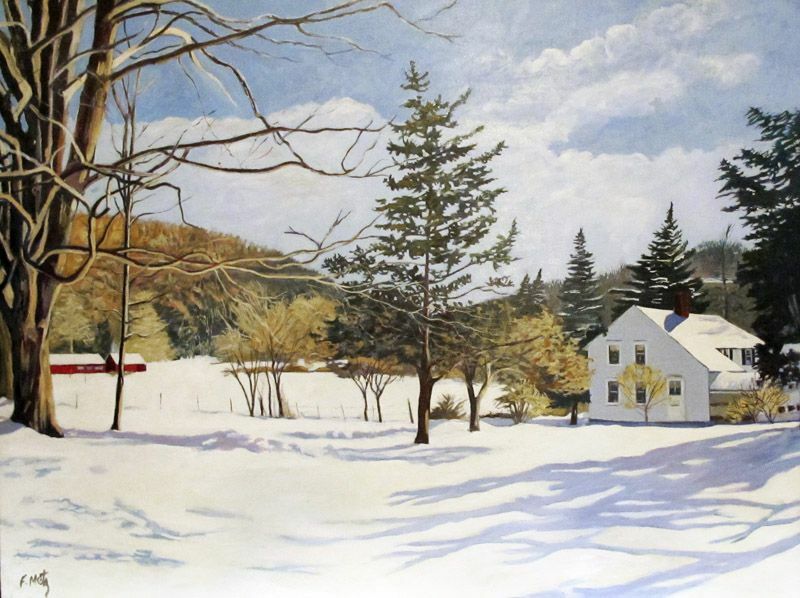 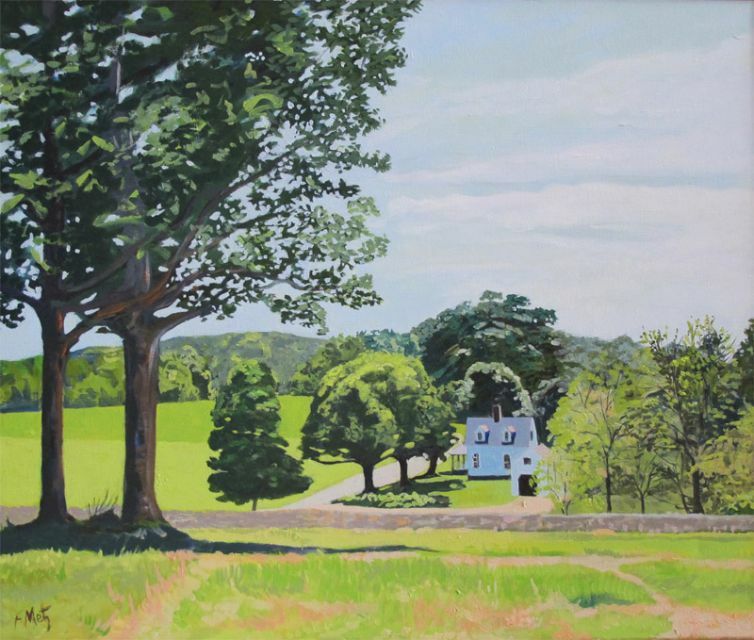 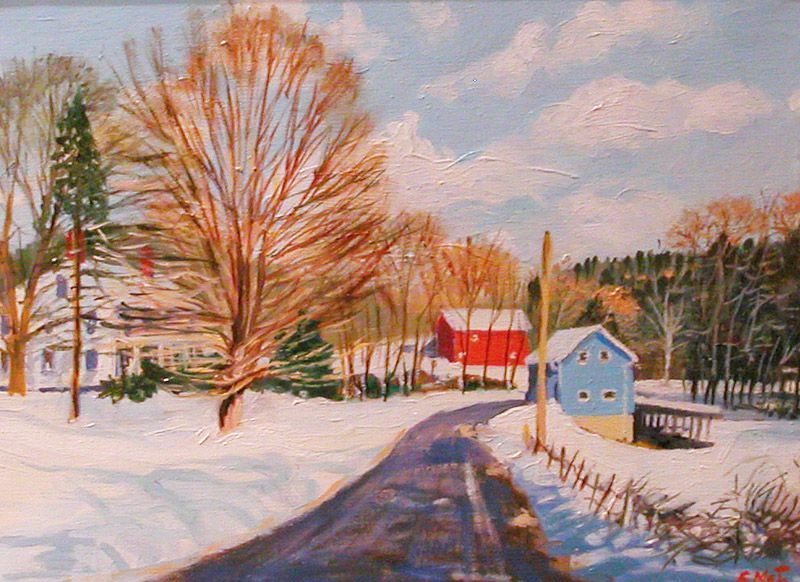 Frank Metz has been a resident of Litchfield County Connecticut for over forty years and has kept a studio there, as well as frequently sketching in the surrounding countryside. 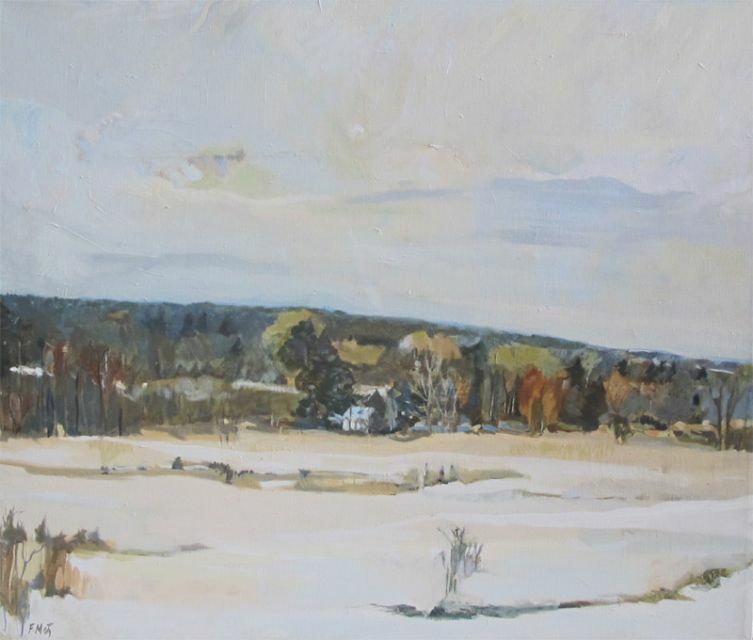 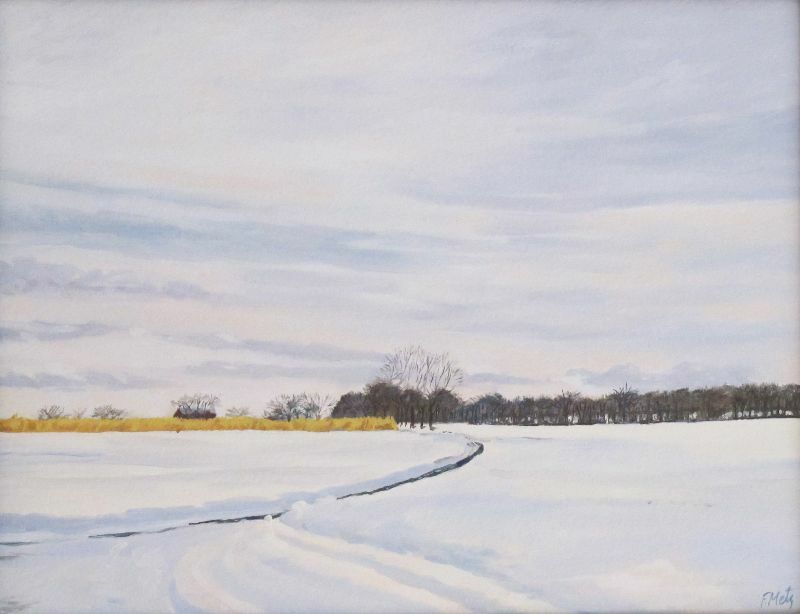 He uses his powerful views of the skies, fields, woods, farmhouses, and snow-covered vistas to allow the viewer to feel the sense of serenity, quiet, and the lush landscapes in these paintings. 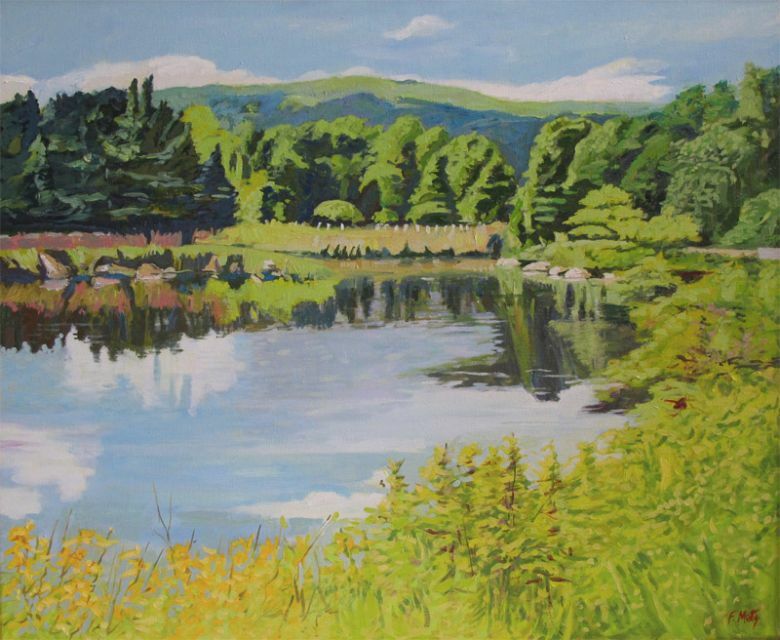 As with all of his work, Metz creates great expanses of skies and covers the canvas liberally with the rich greens and blues to evoke the landscapes that surround him.